To express the spirit within you and touch this world in the way that only you can. Wild Spirit Yoga honors the uniquely personal path, wild nature, and free spirit within each of us. Wild Spirit Yoga Advanced Teacher Training welcomes teachers from around the world who feel a calling to express the spirit within and touch this world in the way that only you can--you who desire to deeply know and share the inspiration, motivation and joy of Yoga--you who are willing to experience your own transformational shifts and miracles in your relationships and your life so you can make the difference in this world you are here to make. This transformational and rejuvenating one-week immersion with Tracie Sage takes you beyond teaching yoga into living yoga, beyond being a yoga teacher into Being and expressing all of you, beyond your past limitations into your present possibilities. Wild Spirit Yoga honors the uniquely personal path, wild nature, and free spirit within each of us. This heart-centered practice is balanced by a strong foundation of inner and outer alignment to develop your strength, confidence and resiliency, quiet the mind, balance your emotions, reduce stress and replenish your vitality, while connecting you with your inner knowing and joy! The practice begins on the mat with pranayama, chanting, meditation and asana, cultivating awareness and self love through curiosity and deep listening with all your senses alive. As you witness, accept and free yourself into the full, radiant expression of your being, you begin to embody the joy of yoga in everything you do. Mar de Jade Resort is a perfect combination of wild beauty, sacred serenity, sweet comfort and delicious organic food. Located at the south end of Chacala Beach on Mexico's Tropical Pacific Coast, about 90 min. north of Puerto Vallarta, it has one of the most pristine beaches along the coastline; soft golden sand lined with coconut trees and palapa (thatched-roof) restaurants. The town still retains an unhurried lifestyle and the locals are very friendly and welcoming. 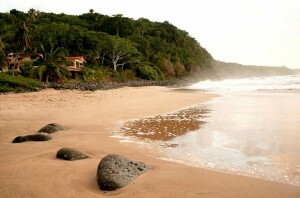 "Mar de Jade is a wonderful retreat center on a glorious beach... The rooms are beautiful, the food is fresh, healthy and delicious, much of it grown on an organic farm. The meditation and yoga studios overlook the ocean..."
Take action today to give yourself this experience of a lifetime! receive access to your Wild Spirit Yoga Advanced Teacher Training application form. Wild Spirit Yoga Advanced Teacher Training and Certification $990 per person. Click on the Pay Now button below to secure your reservation. 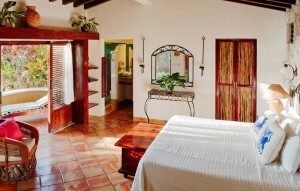 **Step 3: Book your Mar de Jade accommodations. Go to MardeJade.com to choose and reserve your accommodations. Refunds cannot be guaranteed with cancellations after February 1st. We will be happy to refund all but $200 of your training fee if someone fills your space. ** Please consult with Mar de Jade regarding their refund policy with accommodations..